Marriage is one of the greatest milestones in life. 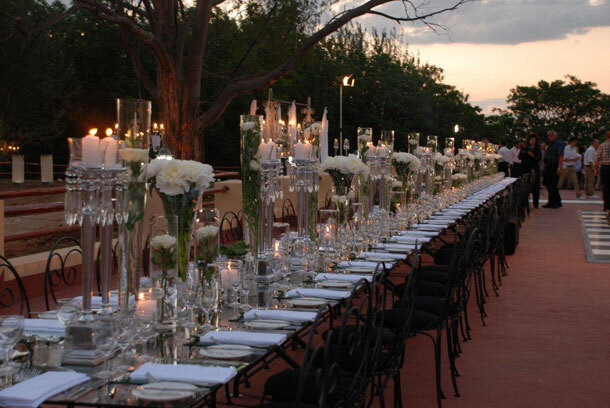 At Zulu Nyala, we understand how special the setting needs to be for the day you’ll cherish and remember all your life. As hopeless romantics with a very practical side, we’d love to be part of hosting and planning your nuptials, whether you’re dreaming of a fairytale ball or something small, warm and wonderful. Whatever your budget, Zulu Nyala will tailor-make a package to suit you. If you’d like to have a beautiful wedding service itself on the premises, our romantic wedding chapel overlooking a dam is ideal. For the reception afterwards, we can offer the stunning Diamond Events Centre, with its sparkling crystal chandeliers, as the perfect setting for a lavish celebration, or several of our smaller thatched function rooms for a more intimate atmosphere. If the weather allows and you prefer to eat outdoors, our large patio or tree-shaded deck could be perfect. The Sandton location means Country Manor is close enough for Jo-burg guests to travel home from after the festivities, but for the bridal party, out-of-town guests and those who prefer not to drive, we have plenty of beautiful en-suite rooms. The Zulu Nyala Hospitality Team will put as much care into helping you plan any other special function, be it an engagement, special birthday celebration or anniversary. We provide help with décor and theme, or are happy to work with your suppliers or event planners. 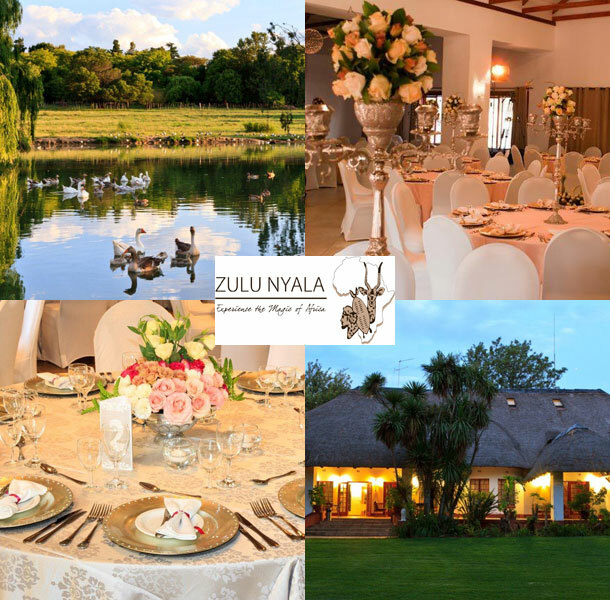 To book your wedding at this gorgeous venue visit Zulu Nyala Country Manor for further details or to send an enquiry.